The Q400 NextGen aircraft is the most technologically advanced, largest, fastest, quietest and most comfortable regional turboprop in the world. That is the reason that Star Alliance Member Ethiopian Airlines, one of the fastest growing airlines in the world, uses the Q400 on domestic and regional flights throughout Africa! Go on board a regional flight to Djibouti and Dire Dawa on board with Captain Eyob and First Officer Girum. Welcome on board the Q400 with award winning Ethiopian Airlines! 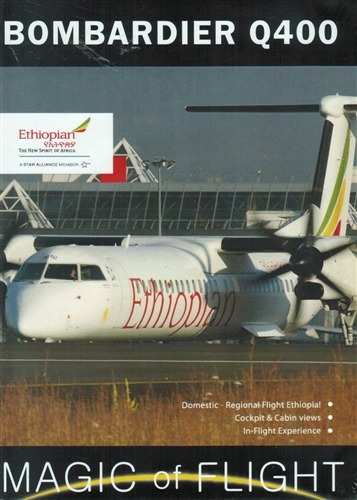 Domestic - Regional Flight Ethiopia!